Solid video editing and post production is the main ingredient that sets polished professional looking projects apart amateur looking video projects. 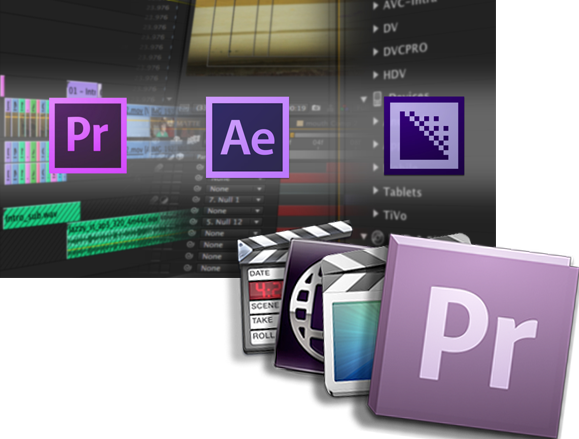 Leach Media has been editing video projects since 2004 and works with some of the best video editing software available. With an editing setup that includes both Mac & Windows based computers, we can work with video that is provided by clients and more than likely can take over ufinished projects and bring them to completion. Video editing can be a time consuming and tedious process in order to get it right and we work with our clients throughout the post-production process in order to ensure they are satisfied with the finished product.